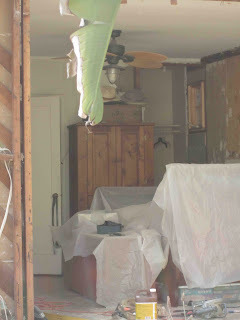 This is a view of our old his-and-her closets (way in the back with the "her" door already ripped out). That green thing hanging in the foreground is actually the bird of paradise plant outside—as the entire wall of our bedroom was removed for a new bump out alcove where the bed will be placed. For a day, this was the view from the street. Yikes! It has to get worse before it gets better, right? This is a view of our remodeling-in-process master closet area. We removed the his-and-her doors and wall. Plus, added that little casement window below which I think will nicely fit a full-length mirror. Notice that the ceiling has been removed. That green stuff is Foam It Green insulation. It will soon be covered with T&G cedar planks and 4x4 beams for a fully vaulted space. There is also a partial wall shown in this pic, which separates the closet/dressing area from the sleeping area. It is just tall enough to allow a flat-screen TV to be mounted on the sleeping side wall below which will go either a petite fireplace (just for looks) or a dresser if we need the storage. We'll probably need the storage, but the romantic in me wants a fireplace real bad. This is the inspiration for our master closet. Simple, but rustic design. This pic even has a half-wall somewhat similar to our placement. 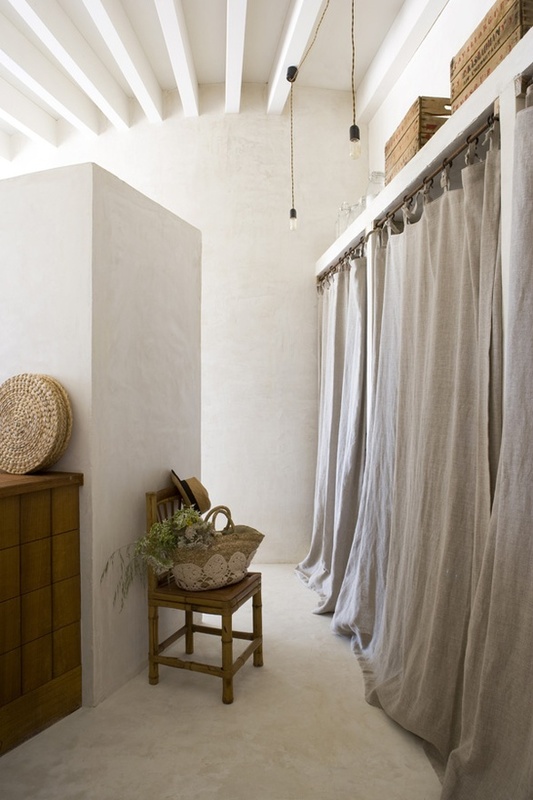 Some linen fabric on a rod keeps our stuff hidden away, but accessible without needing a door, which would make this area far-too cramped. I love the white plaster walls. 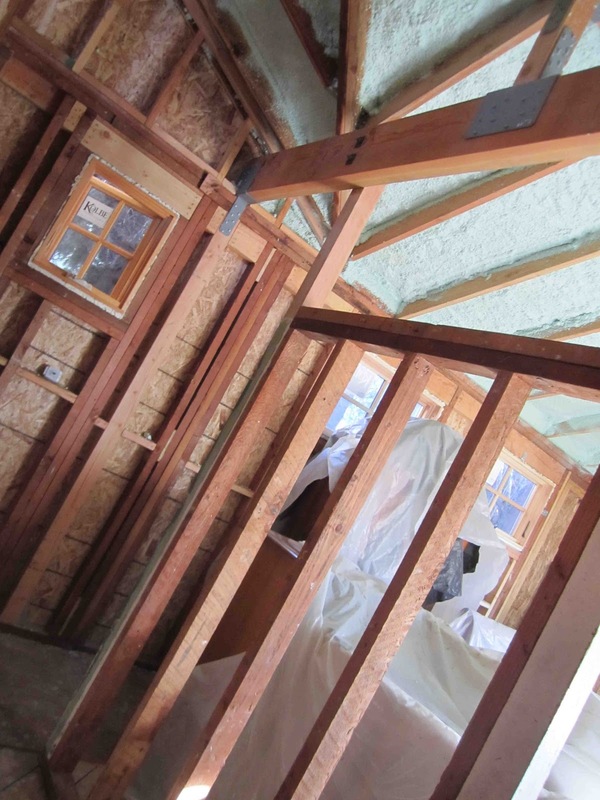 We'll be doing all of our interior walls in plaster or American Clay. Haven't decided yet. Although this pic has a shelf just above the closet, we'll be adding storage all the way to the ceiling. We'll need it to hold our luggage. Can't find another place in the house for those big bags!